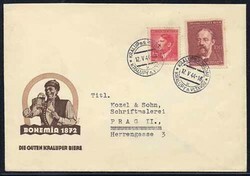 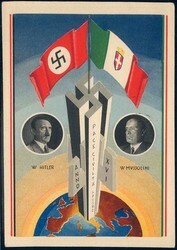 "Hitler - Mussolini" Italian propaganda postcard, franked with special cancellation. 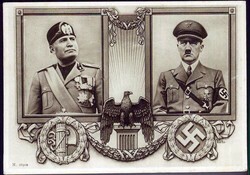 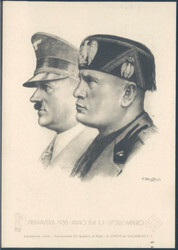 Benito Mussolini and Adolf Hitler, Italian picture postcard, real used with special cancellation. 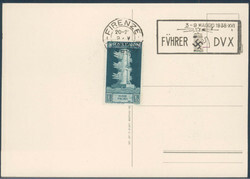 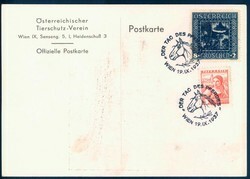 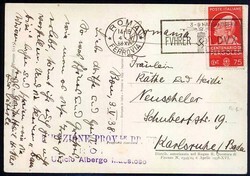 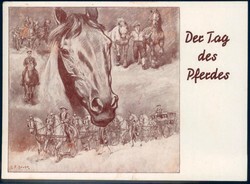 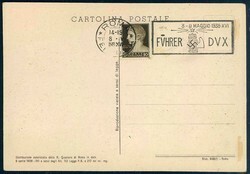 "Primavera 1938 - Anno XVI E.F.-III° Dell'Impero" postcard, franked with special cancellation.